InStyle magazine showing our semi precious stone and crystal barrettes from our Couture and Resort collections. In publication are Clear Quartz, and Peridot semi precious stones. 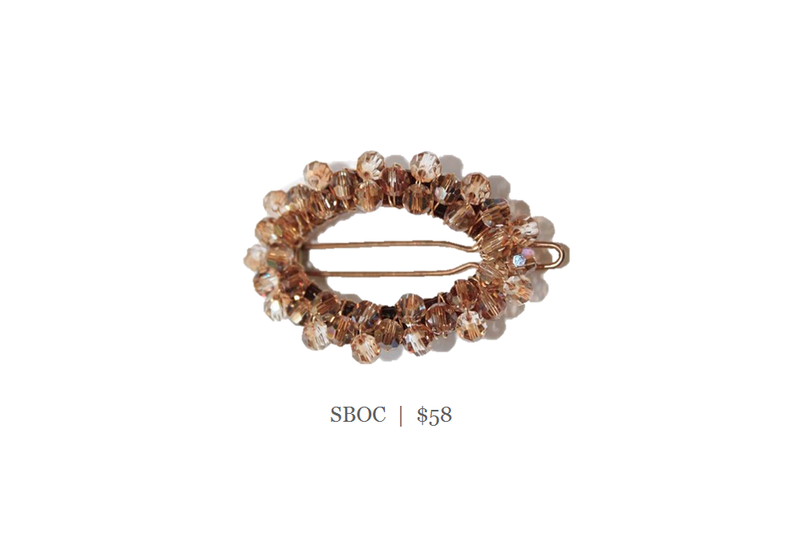 Smokey Topaz crystal barrette. Pictured here is champagne.